Makes sense now, thank you! Does anyone know who has done the main package? Music4 have been responsible for Wave105 jingles for 20 years. 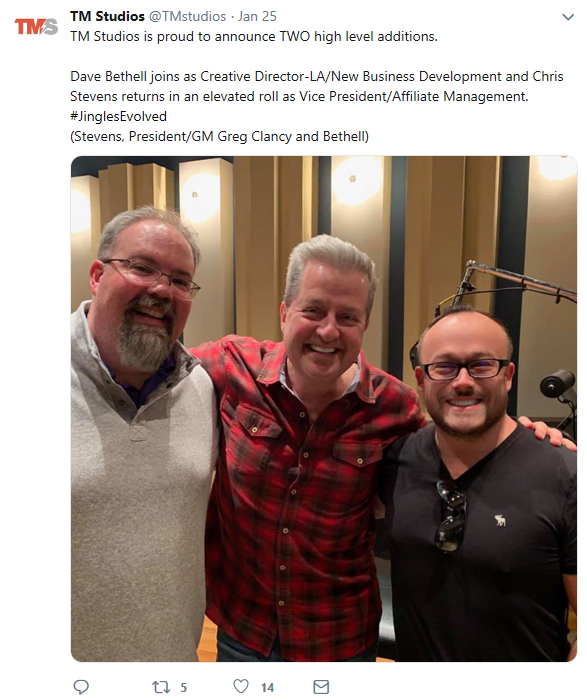 For reasons stated elsewhere, Sandy is out of the picture and Dave Bethell had taken on the creative. A little bird told me that Dave has now joined TM. My favourite by Dave has to be Full Service News/Sport/etc. on the Beds & Beats NewsBytes album.